Gastroenterology Virginia | About Gastrointestinal Specialists Inc.
Gastrointestinal Specialists, Inc. is a group of 17 board-certified gastroenterologists and seven nurse practitioners/physician assistants. 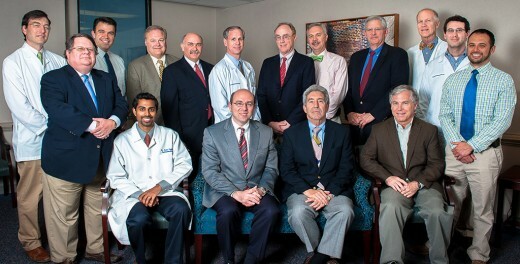 We have been providing comprehensive GI care for more than 30 years throughout the Greater Richmond area. GSI has seven offices throughout central Virginia, and we perform procedures at our two endoscopy centers, allowing us to provide fast, easy access to routine diagnostic and therapeutic procedures. We treat the entire spectrum of gastrointestinal and liver diseases including gastrointestinal bleeding, biliary tract disease, inflammatory bowel disease, peptic ulcer disease, GI motility disorders, pancreatic disease, cancers, and benign neoplasms throughout the gastrointestinal and biliary tract. We work closely with specialists in many areas of medicine including primary care physicians, surgeons, radiologists, and pathologists. We strive to provide our patients with the best care possible. If we can help you, please contact us.